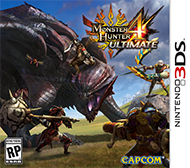 The stunning opening cutscene delivers a clear message that in Monster Hunter 4 Ultimate the story is yours to forge, with the game providing all the tools necessary to achieve just that. As always in the series, you're a hunter charged with taking out the biggest, baddest beasts in the land. Capcom has attempted to add a narrative by penning a globetrotting quest via a caravan company to uncover the history of a remarkable relic in the caravaneer's possession. The tale peels away the interesting personalities of the caravan crew, but it's more flavor text than a substantive story. There are plot driving quests, but ultimately the pace is yours to control. As the various town hubs are unlocked, you can socialize with the eccentric residents and merchants. They'll criticize your eyebrows and poke fun at your lacking brawn, but also provide useful tips for surviving and excelling out in the field. Some offer fetch quests, though you'll find even simple tasks are rife with surprises and meatier than the average fare in most RPGs. A simple quest such as fishing for Goldenfish could be interrupted by the arrival of a giant tusk-bearing amphibian with a rocky carapace. Even if you obtain the required goods to complete your objective, you are free to eat up the rest of the timed mission by exploring the map's many zones, mining for ores, catching insects with a bug net, picking mushrooms and herbs, and hunting down creatures for their useful parts. You'll reap plenty of resources (likely more than your backpack can hold) by the mission's end, but every single item from dung to giant tuna has its uses. Materials can be combined into consumables to regain health, refresh stamina, and cure ailments. Create paintballs to tag large monsters (essential for tracking), fashion ammunition and coatings for your ranged weapons, and use those big beast parts to forge upgraded armor and a mightier arsenal of weapons. And this is only a fraction of the useful items the robust crafting system offers you. Disregard the preparation phase at your own risk. You're often given fifty minutes to take down a large mark, and you'll find yourself using every second against later game behemoths, even when properly equipped. 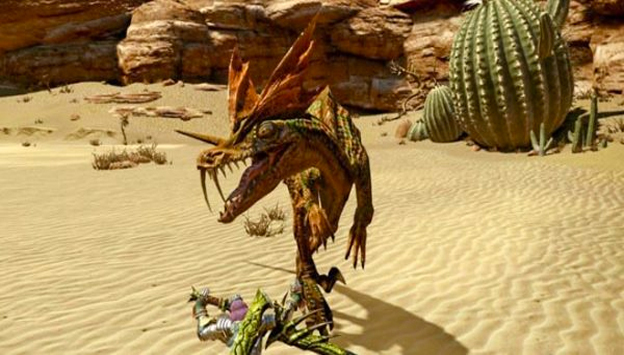 As with all Monster Hunter games, the hunt is more important than the kill. Without excelling at the former, you will never achieve the latter. Barreling headlong into your newly discovered "prey" will result in a quick failure. Sizing up the monster's attack patterns, dodging an oncoming charge, and waiting for a vulnerable opening to appear are all part of the intense tango. Leaping from a ledge to mount a monster is a new tactic in Monster Hunter 4 Ultimate, and one you'll want to exploit at every opportunity. The beast will attempt to buck you off its back while you stab at it. Winning the struggle grants you a few precious moments to hack away while it picks itself up off the ground. The enemies bear no health bar, so you'll have to look for visual cues to assess your progress. The monster will flee to another area to rest and recover, and limp around when nearing its end. That final victorious blow after a lengthy struggle is one of the most satisfying you'll find in any video game. And then it's on to your next target. 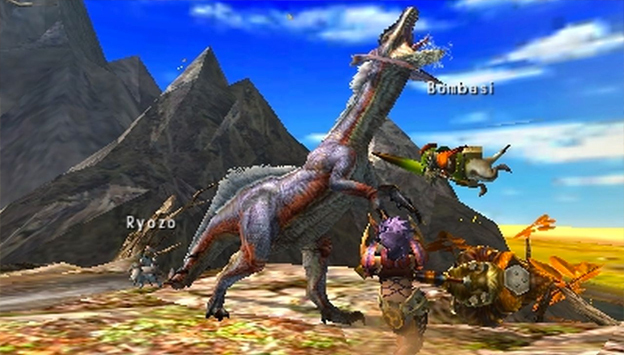 Monster Hunter 4 Ultimate offers over a dozen different weapon types to play around with, none of which follow the conventional make-up. Bowguns that transform when unsheathed, massive hammers that are easily twice your character's weight, and even a glaive equipped with a giant beetle called a Kinsect are a few of the outlandish weapons at your disposal. My personal favorite is the charge blade, a new entry in the series that combines the defense of the sword and shield with the versatility of the switch axe (sword and axe combo), but can also be charged up to unleash devastating elemental attacks. Whatever your preferred choice, you'll find each is equally useful and unique. The weight of your weaponry affects the controls of the game, making the learning curve much steeper than most action RPGs. While wielding a weapon your mobility suffers, and winding up a wallop requires the proper timing lest your target move out of range, or worse, strike you first. You can dodge to avoid attacks at the expense of stamina, but you'll find stowing your weapon to gain some running speed the more tactical option. Choosing your strikes carefully, sheathing and evading, then striking again at the opportune moment is the wash, rinse, and repeat cycle that separates the greenhorns from the ace hunters.